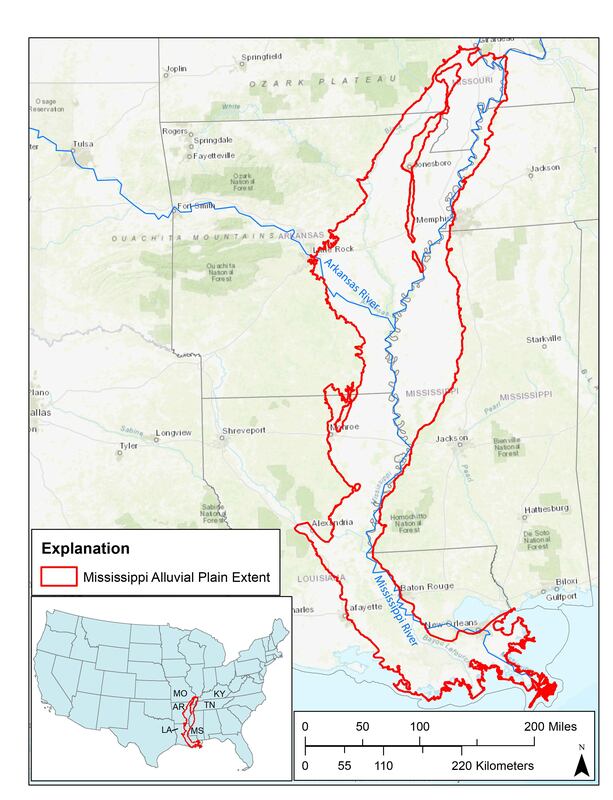 The Mississippi Alluvial Plain (MAP) has become one of the most important agricultural regions in the US, and it relies heavily on a groundwater system that is poorly understood and shows signs of substantial change. The heavy use of the available groundwater resources has resulted in significant groundwater-level declines and reductions in base flow in streams within the MAP. These impacts are limiting well production and threatening future water-availability for the region. Over 9 billion gallons per day of groundwater are withdrawn for irrigation, supporting agricultural production. Agricultural interests in the region are aware to the economic and environmental costs that may come from declining water supplies but lack the basic resource description and analytical tools necessary for effective decision making at a regional scale. Technical specialists working in various Federal and State agencies and universities have worked individually and in partnership over many years to address aspects of particular water issues in the MAP, but no single agency or group has had the resources to support a broad-based and comprehensive scientific effort. The U.S. Geological Survey (USGS) Water Availability and Use Science Program (WAUSP) is supporting a regional groundwater availability study of the Mississippi Alluvial Plain (MAP) to provide stakeholders and managers information and tools to better understand and manage groundwater resources. The study focus is on quantifying the status of the groundwater system in the MAP and determining how groundwater resources respond to development. Advanced characterization of the MAP, synthesis of field data, and numerical modeling will be used in the study as described on these web pages. For more information on the USGS Regional Groundwater Studies, please visit the USGS Water Availability and Use Science Resources Program.